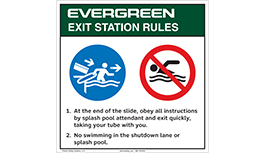 Clarion’s system of pool safety signs uses symbols, color, language and repetition to effectively communicate the most serious water safety hazards like no other signage on the market today. 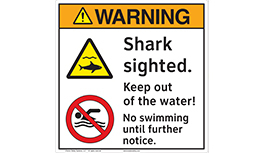 Clarion’s beach signs use the latest ANSI Z535 safety sign formats and ISO formatted graphical symbols to visually inform beach-goers about the most serious water safety hazards. 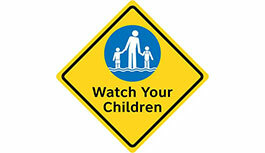 Clarion has extensive experience in developing safety signs for waterparks. Each of these sign systems is custom-tailored to meet the exact needs of each site or type of park.